The Inspector General of Police (IGP), Mr David Asante-Apeatu, has directed the Criminal Investigation Department (CID) headquarters to take over investigations into a shooting incident that led to the death of a woman and injured two others at Ankaful Junction in the Central Region at about 6:30 a.m. on Thursday. According to the Central Regional Police Command, Mr Asante-Apeatu tasked the CID to submit a report to his office within three weeks, and had assured the relatives of the victims and members of the public that the necessary investigative procedures would be undertaken to unravel the truth. The police were chasing some suspected armed robbers from Praso when the incident occurred. The deceased, Mrs Mary Aboagye, 38, and her husband, Mr Aboagye Okyere, 47, were hit by stray bullets in a taxi which they had boarded. Okyere was injured in the process. Another person, Cecilia Mensah, 15, who was waiting for a vehicle by the roadside, was also hit by a stray bullet, resulting in some injuries. 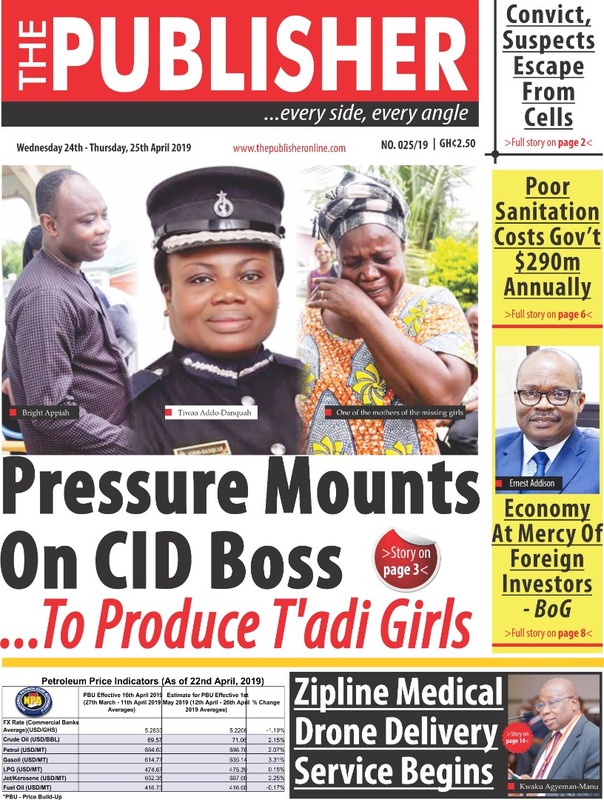 For today’s latest Ghana news, visit Graphic Online headlines page Ghana news headlines. Speaking at a press briefing, the Central Regional Commander of Police, Deputy Commander of Police (DCOP) Paul Manly Awini, said while on patrol duties, personnel of the Praso Police had a tip-off that a BMW saloon vehicle was being used by suspected armed robbers in an operation. The body of Mrs Aboagye has been deposited at the morgue while the injured persons are receiving treatment at the Cape Coast Teaching Hospital. DCOP Awini said in the course of the firing of gunshots, the vehicle of the suspects ran into a ditch and two of them escaped. He added that two other suspects, Joseph Quansah, 36, and Daniel Ewusi, 32, were arrested. He said seven live goats and five dead ones were retrieved from the BMW car.